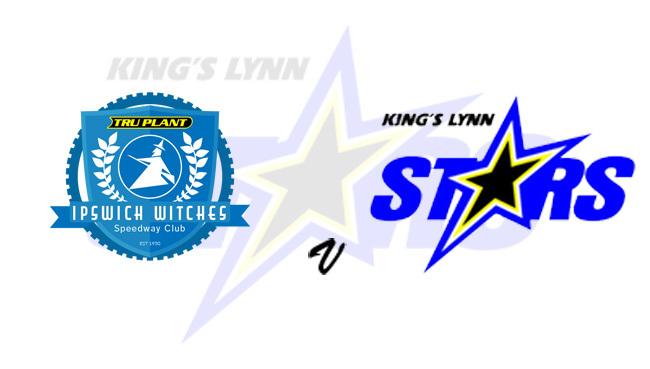 LEWIS Kerr is relishing the return of an East Anglia derby as King's Lynn head to Ipswich in the new Supporters' Cup competition on Thursday (7.30). The Poultec Stars are yet to make a competitive appearance this season, but they have plenty of familiar faces in their team with every rider having appeared for the club in 2018. They haven’t faced their local rivals since 2002 but head to Ipswich in the knowledge that Ty Proctor, Erik Riss and former Witch Kerr have shown a liking for the circuit in the past. Witches, meanwhile, have plenty of new faces taking to the track with Jake Allen, Richard Lawson, David Bellego, Krystian Pieszczek and former British Champion Chris Harris all joining the club this year. The Foxhall outfit showed their firepower last week as they beat Leicester 98-82 over two legs in an inter-league challenge. Kerr said: “It’s great just to get back racing and being with the boys. Although it’s my first meeting back for Lynn, I have already had some track time at the Ben Fund getting a race win. I then went to Redcar and did really well there. I just love being back racing. Supporters are reminded that they will be able to vote for the two riders they want to represent their team in heat 14. The two team managers will each nominate four riders for the Twitter poll which will be launched after heat 10 has been completed. The poll will run for 15 minutes with the two riders with the most votes riding in heat 14 but those riders are unable to be selected for heat 15. IPSWICH: Chris Harris, David Bellego, Danny King, Krystian Pieszczek, Richard Lawson, Cameron Heeps, Jake Allen. KING’S LYNN: Robert Lambert, Erik Riss, Ty Proctor, Lewis Kerr, Thomas Jorgensen, Michael Palm Toft, Kasper Andersen.